Being a homeowner is one of the greatest assets anyone can have in their lifetime. Not only does your property protect your family but it also protects the valuable assets inside, some often irreplaceable. 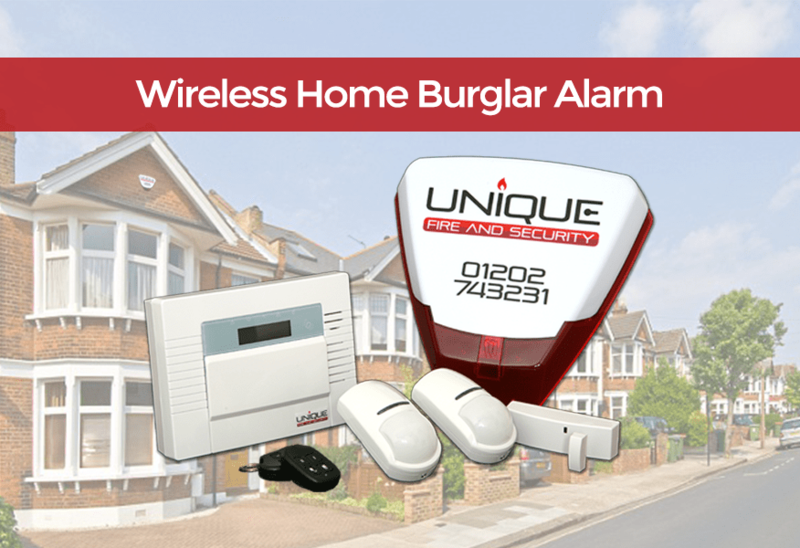 The most cost-effective way of securing an average sized family home is using wireless radio alarm technology. Advances in wireless radio technology have meant that the best burglar alarm installers can provide smarter and more affordable systems than ever before. The entire system is flexible due to the lack of internal wiring to the devices, meaning no unsightly holes in walls or coverups – plus simple removal when relocating too. In terms of installation standards, we’re among the best alarm companies in Dorset and this is backed not only by our customer reviews but from our certifications from third party approval bodies like the Security Systems and Alarms Inspection Board. There aren’t any monthly rental costs as you’ll own the system. The system will, however, need an annual maintenance inspection to ensure continual uptime and longevity, they’re usually stipulated in home insurance cover, our basic maintenance package costs £55 per year and we’re happy to talk through the options available. For the price, the professional insurer-approved installation, and the smart product features; to protect your family home and the assets inside is what our customers like to call “a no brainer” – they’re installed on all our family homes too. Speak to our experts at Unique alarm company Dorset on 01202 743231. These types of alarm systems have stood the test of time, and alarm companies Dorset continue to install these. They’re usually installed in new buildings being constructed or if an existing property is being renovated. Often favoured over wireless systems in large homes due to their support of a larger number and variation of detection devices. Installation isn’t as straightforward as wireless alarms, due to running cables through walls and floors, so complex installs can become expensive. We’re happy to give advice and quote for both types of systems so you can choose. 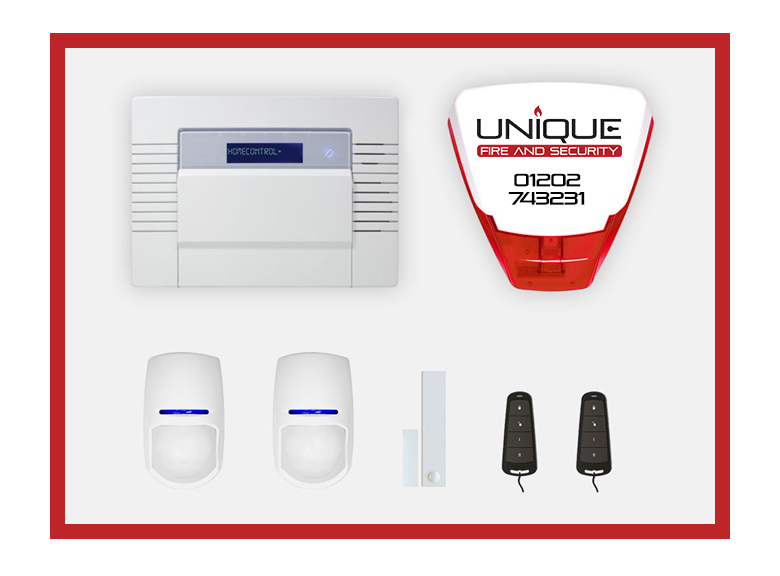 By installing the latest secure wired systems, that we at Unique alarm company Dorset have protecting our business and its assets, we can make sure the systems are simple and convenient to use, all whilst keeping our burglar alarm installers costs as fair as possible. Chances are there’s an alarm system servicing stipulation, and our maintenance servicing packages are always best suited to your home, so for more information, speak to one of our experts today on 01202 743231. A monitored alarm system is remotely linked to our Alarm Receiving Centre (ARC). So that means complete protection 24 hours a day, the minute there’s a disturbance, an operator is notified, and the emergency services can be deployed. False alarm? One of our burglar alarm installers, from our alarm company Dorset, will make sure the system is re-protected ASAP. There are two main methods of linking an alarm to the ARC. Firstly, there’s simple monitoring via an existing telephone line. It’s an affordable option, and it’s a real improvement in protection too – although it ‘s worth noting that this system (often referred to as a Digital Communicator or Redcare Classic) can be compromised if the telephone line is cut or damaged. Secondly, the more sophisticated ‘dual-path’ alarm monitoring systems are now available, including Redcare GSM, DualCom GPRS, and Emizon. These provide greater security by connecting the alarm to the ARC by two different methods (e.g. telephone line + GPRS or IP) so that an alarm signal can still be sent to the ARC even if the telephone line path fails.